We are bringing in the new year with a bang this Friday on The Rasta Vibration Show! We will do a little recap of some of the riddims that came out last year, And we will chat with Ras Tt-Fraser about his music and up coming tour dates! 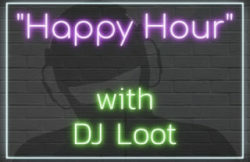 Tune inn this Friday 7-10pm(pst) World wide on www.fccfreeradio.com Studio 1A!! !